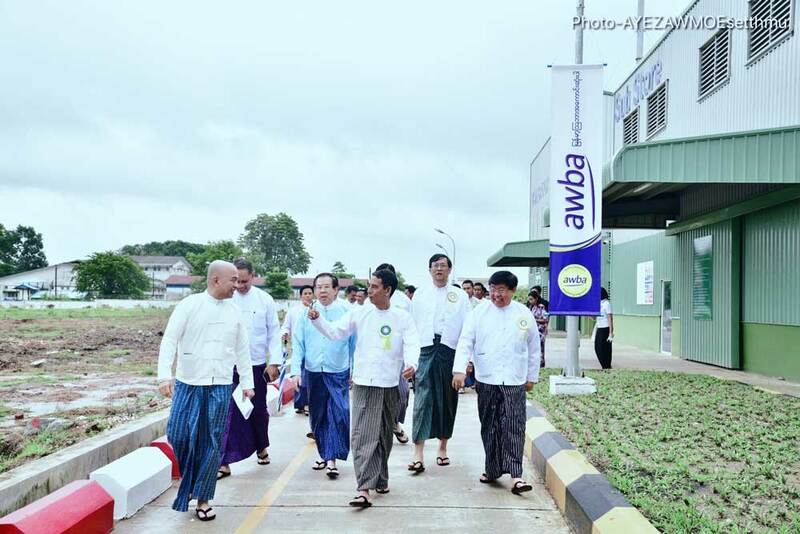 On 19 August, Myanma Awba Group (Awba) unveiled Myanmar’s first private agricultural formulation complex – the Hmawbi Agricultural Input Complex (HAIC) located on a 126-acre (51 hectares) site near Wa Nat Kyaung Village in Hmawbi Township, Yangon. 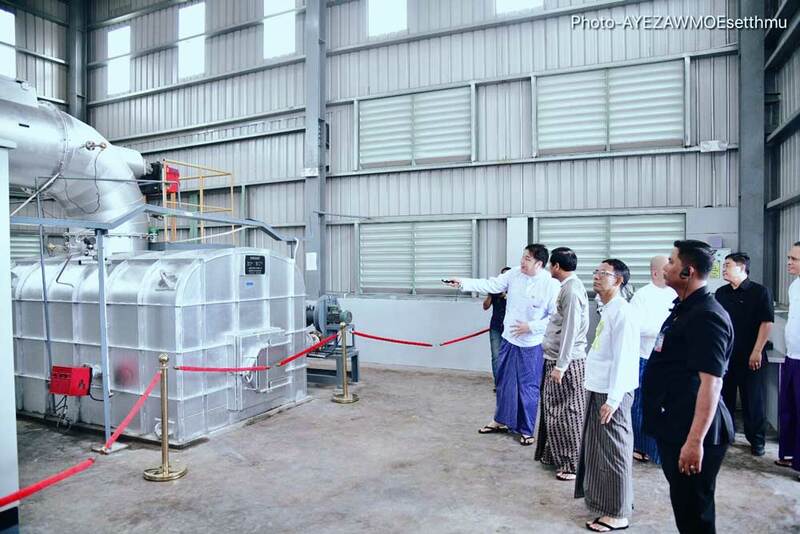 HAIC is a state-of-the-art facility which allows us to tailor world-class research and innovations to the needs of Myanmar’s farmers and their crops. The complex adopts environmentally friendly processes in accordance with Environmental, Health and Safety guidelines from the Ministry of Natural Resources and Environmental Conservation and the International Finance Corporation. The inauguration ceremony was attended by U Henry Van Thio, Vice President of Myanmar, Dr. Aung Thu, Union Minister for Agriculture, Livestock and Irrigation, and other key officials, who formally commissioned the factory into service. 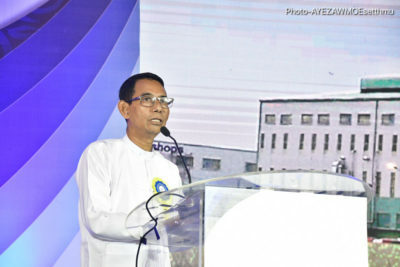 Dr. Aung Thu began the ceremony by speaking about the optimistic scene for investment opportunities in the agricultural sector. His speech was followed by an introduction of the factory, its highlights, and the journey to establishing the formulation plant by Awba’s Chairman and Group Chief Executive U Thadoe Hein, and HAIC’s project director U Nyan Lin Phyo. The Vice President and party were treated to a guided tour of the production line and the wastewater treatment system of the factory. 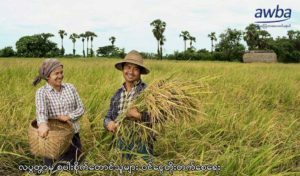 Agriculture makes up 29 per cent of Myanmar’s GDP and provides a livelihood for 70 per cent of the country’s labour force. This means the sector is crucial to the overall growth of the country. 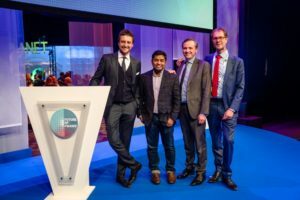 With the support of HAIC’s tailored agrochemicals, crop yields, crop quality, and land productivity will improve, along with the lives of Myanmar farmers. The complex allows us to reduce the production costs of our agrochemicals by up to 20 per cent. 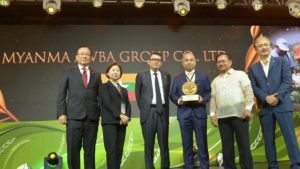 With the complex, Awba is also expected to meet around 50 per cent of Myanmar’s crop protection requirements. Its location within the country enables timely responses to local challenges like pest outbreaks as well. While active ingredients will continue to be imported, the formulations produced in HAIC will allow us to address the specific needs of Myanmar and ensure farmers can increase the yield and quality of their harvests in an efficient and cost-effective manner. With over 200 proprietary blends in the pipeline, HAIC will enable farmers to replace generic agrochemicals, most of which are imported, with more effective products. Future developments for HAIC will include more production facilities, high-density warehouses, trial farms, solar farms, and greenhouses. These additional buildings are expected to enable HAIC to increase its production capacity by over 300 per cent.